Advances in engine technology have led to increased power and efficiency, meaning engines work harder and under higher pressures than ever before.The only thing keeping metal engine components apart is the oil, so it needs to be strong and remain strong. Castrol EDGE Turbo Diesel 5W-40 is suitable for use in automobile, gasoline and diesel engines where the manufacturer recommends an ACEA C3, API SN/CF or earlier specification.Castrol EDGE Turbo Diesel 5W-40 is approved for use in vehicles from leading manufacturers, please refer to the specifications section and your owners handbook. 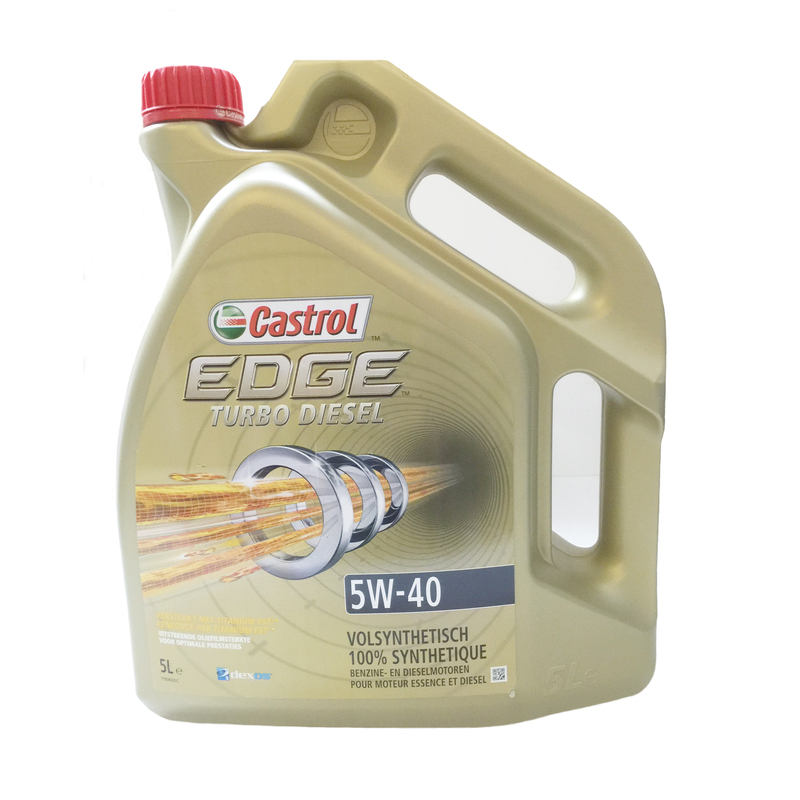 Castrol EDGE Turbo Diesel 5W-40 gives you the confidence to demand maximum engine performance from today’s modern Turbo Diesel engines, operating under higher pressures and temperatures requiring oils that reduce turbo deposits. ACEA C3 oils are Top Tier lower SAPS1 lubricants. They are designed for use in high performance gasoline and light duty diesel engines where advanced aftertreatment systems such as Diesel Particulate Filters (DPFs) and Three Way Catalysts (TWC) are used. Particularly suitable for Euro 4 & 5 classified vehicles.